Trials gameplay is trapped in by its own excellence. With physics-based mechanics that are a real joy to master, this obstacle course platforming/racing hybrid has mostly maintained the same gameplay loop for years. 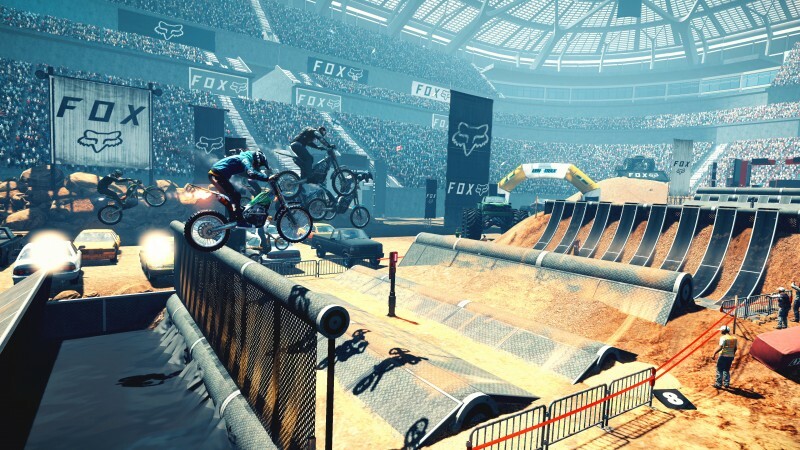 Balancing your bike through a tough landing, bunny hopping across seemingly impossible gaps, and carefully scaling absurdly steep uphills takes skill and practice. It’s a tired formula that really can’t evolve without sacrificing what makes it special. 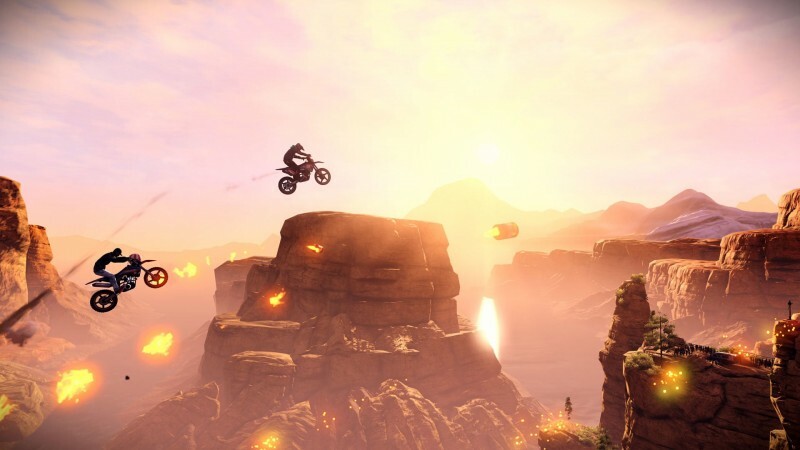 To compensate for the lack of gameplay novelty, the tracks in Trials Rising are more bombastic and insane than ever. But a poorly managed progression loop and overreliance on microtransactions really drag down the experience. 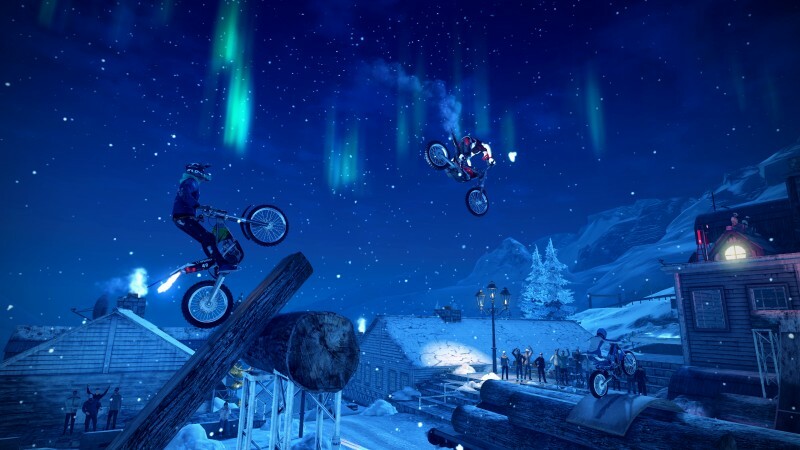 Trials Rising offers a strong first impression. Early tracks are visually varied and impressive in concept, sending players careening through airplanes in-flight, across Hollywood soundstages, and tilting over windmills. Laugh-out-loud moments abound as you roll across the finish line to your inevitably dubious reward, like snagging a rocket that carries your hapless rider all the way into outer space. Many courses offer interesting shortcuts and elevated ramps for alternate paths, and figuring out the best line through a course is consistently engaging. Meaningful side content is also peppered through the early and mid-game. Early contracts demand unusual twists on your run through a level, like doing a certain number of back flips. A smartly narrated “University of Trials” set of tracks is the best tutorial the series has ever had. Skill games provide silly distractions, like seeing how far you can drive while on fire. Unfortunately, Rising begins to reveal some big flaws as your hour counter ticks up. Subsequent courses are painfully slow to unlock, demanding a tedious grind through contracts and track replays, especially to open up the enjoyably challenging hard tracks. Levels reward gear crates, but the available customization items within are undesirable and bland, so you never get excited about earned rewards. It’s clear that the game is pushing players toward the more interesting cosmetic options available through microtransactions, a practice that always feels crummy. 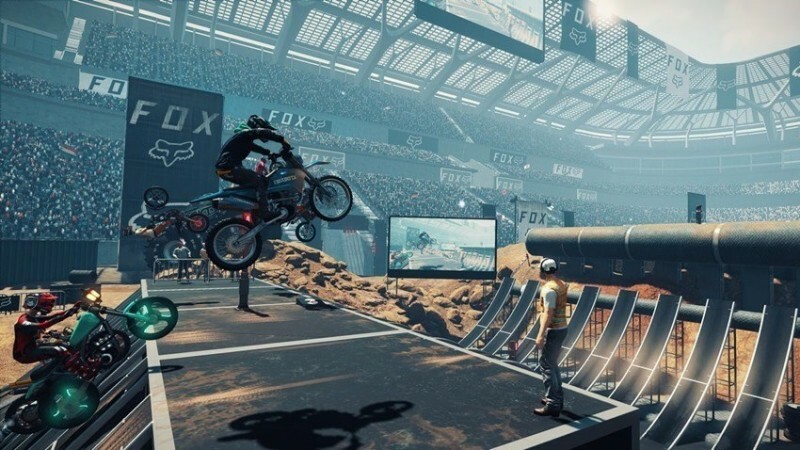 Perhaps as a push to force engagement with the community, every track has you racing against A.I. or opponent online player “ghosts.” Many players will wish to do what I did, and turn the ghost opacity all the way down so they’re invisible, so you can practice in solitary peace. Several poorly balanced “boss” tracks in the stadium finals demand insane levels of perfection to surmount, but connect relevant unlocks to their completion, like the availability of certain new contracts. The crowded world map is hard to parse, and is just one of several menu and UI functions that don’t feel intuitive. Taken together with the poor rewards system, these problems detract from what could be addictive engagement and transform progress into a chore. 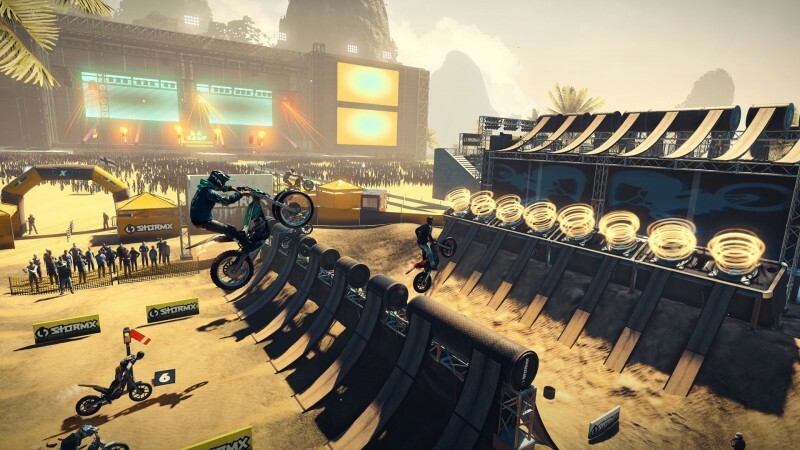 Beyond the core investment loop, Trials Rising has no shortage of extra features to lend replay value. A tandem bike mode lets you race through many of the tracks with a friend; hilarity commonly ensues. Simple but engaging multiplayer is available in both local and online varieties. A robust (if hard-to-learn) track creator lets creative Trials builders craft their dream runs, while the Track Central feature lets the rest of us take advantage of their expertise and imagination. 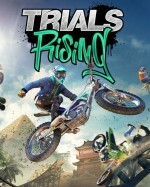 Trials Rising feels like a pure incarnation of the series, and its significant structural and progression problems could be addressed over time as the live game evolves. But that revision (if it ever comes) is not the game currently on offer, and the current playthrough offers too much frustration in return for the moments of humor and skill mastery. I’m still an enthusiast for Trials, but when your gameplay is this established and staid, there’s no excuse for the surrounding trappings to be subpar.